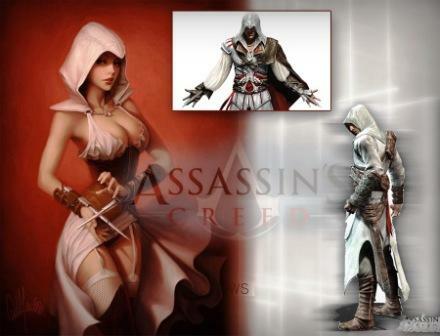 Assassin’s Creed III Female Protagonist Concept – unrealistic but HOT HOT HOT. UbiSoft have officially stated that Assassin’s Creed 3 will not feature a female protagonist because it would be next to impossible for a female to blend in during it’s American Revolution setting. Still, dreaming can never hurt, so we take a look at one particular concept that goes heavy on the fanservice. Not only would it be hard to blend in wearing something like this (unless among courtesans), but it would be next to impossible to run, jump roofs and pretty much do any assassin stuff.